We generate print files with PCL in our software. PCL to PDF generates PDF. 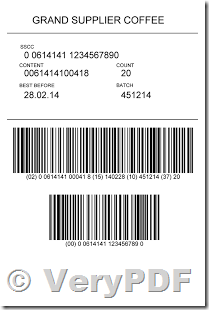 Now we must add GS1-128 barcode to the PDF. What is to do? pdftoolbox.exe sample_in1.pdf -overlay barcode.pdf -outfile "_overlay_out.pdf"
If you need any other assistance, please feel free to let us know. 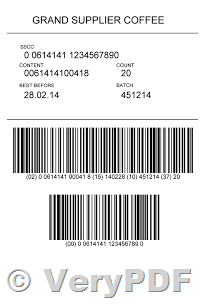 This entry was posted in PCL Converter, PDF Stamp, PDF Toolbox Command Line and tagged barcode pdf, barcode stamp, PCL to PDF, pdf barcode, pdf stamp, pdf toolbox. Bookmark the permalink.